Just before leaving for the airport, Tutubi's officemates dropped by this famous restaurant offering a sampling of Cebuano's version of the lechon (roast suckling pig) at the branch in front of SM City Cebu. preparing boxes of the famous delicacy. You can see boxes and boxes of these checked in at the airport so better mark your own boxes for them to be properly identified. Now, what makes Cebu's version "to die for" is that you don't need sauce to dip it with like Tagalogs other people of Luzon do. The roast pig is actually "injected" with the salt and flavorings while being roasted making the sauce unnecessary. This is similar to the lechon Tutubi encountered in Butuan. Note Tutubi wanted to take pictures of the lechon but found no time to do so as always. For as soon as he opened the box, all he got were hands all trying to get a piece of delicious pork delicacy Cebu is known for. Should you be curious how Cebu's lechon tastes like, you may visit Salcedo Weekend Market in Makati every Saturday morning. There also used to be a Lechon Cebu on West Avenue in Quezon City but was no longer there when Tutubi last passed by. You may also find it in Market! Market (The Fort, Taguig City) and Tiendesitas in Pasig. There's also a kiosk inside SM Makati, right outside the supermarket (near the exit going out to Ace Hardware) that sells Cebu Lechon. Pretty good, actually. Lechon cebu is really taste good. No need to add sauce coz its tasty already. Try also www.lechoncebu.com they deliver lechon in manila. The tender juicy meat and crunchy skin was great. Its yummmy and its very delicious. ah, the lechon, high on my wishlist when I ever get there. i miss CNT. whenever work brings me to Cebu (3-5 times a year), my first stop is always CNT. I usually don't have the time to go to SM Cebu so I go to Ayala Center's food court where you can find a CNT stall. Lechon cebu is really the best talaga. Kakaiba ang lasa compare sa ibang lechon. At tama eat in moderation. Dahan dahan lang marami pa namang lechon cebu. Hi to all! Try nyo naman Manong's Tasty Lechon Cebu. We are from cebu pero nasa Manila na po kami to cater to our Manila customers. We offer FREE delivery. Call us at 7032133 or 0908-3237727. 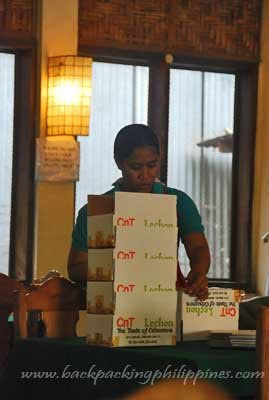 Cebu is indeed the home of the most delectable lechons all over the world and it was agreed by Time Magazine. 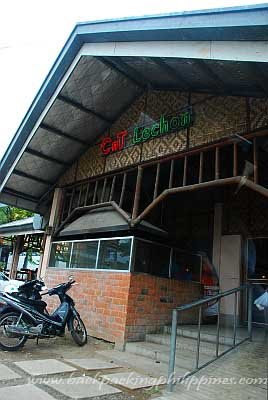 There are lots of good tasting lechons available in Cebu aside from CnT, try to savor Alejo's Lechon in Labangon and Mila's or Celia's lechon in Poblacion, Talisay City, Cebu. You will surely forget your name once you taste their lechons because you do not need any special kind of sauce to enhance the flavor. Will go to Cebu this August, must-try pala itong lechon ng Cebu. I'll add this to my itinerary, hehe. Any idea how much yung lechon ngayon? I miss CNT..next to it in Manila now we enjoy Sabroso lechon...masarap indeed.